1. 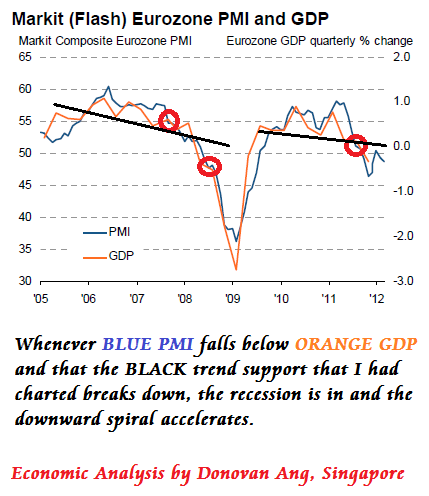 The Singapore Stock Market is at the internal blue trend band support within the black super-cycle channel. 2. We have already back-tested the green classical support band twice in the past 10 years. This back-testing made up the 1st half of a SuperCycle Bull (2008-2018). 3. The next 2nd half of the SuperCycle Bull (2018-2028) will see Straits Times Index (STI) rally to 6000 points and beyond (Purple Trajectory). This means all the blue chips have +100% to +500% profit upside to go, mid caps have +500% to +1000% upside, and small caps have +1000% to +5000% upside, if we base on previous bull market cycles. Study my Technical Chart in detail for enlightenment: Fools are those in 2018 declaring for bear market, crisis or recessionary economy when we are in expansionary bull market of a lifetime -- with crazy upsides of once-in-a-lifetime as well. 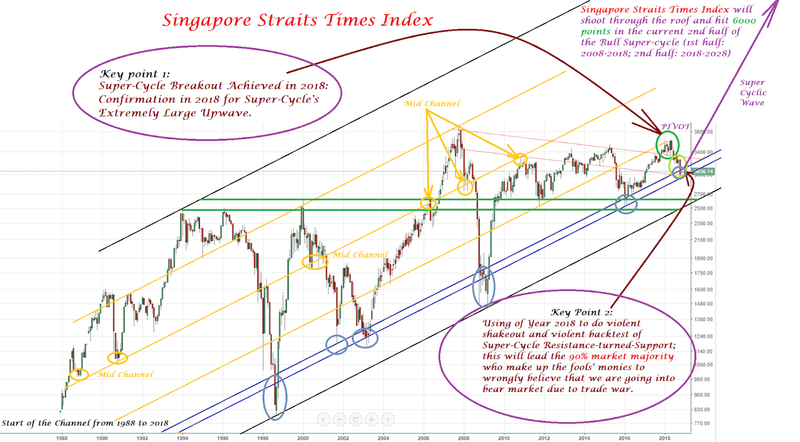 The above represents Powerful Technicals of Straits Times Index from 1988 to 2018 (30 Years) with projection to 2028.